Is it the first step of the company towards the new pricing policy or just one accessible model in the range of more expensive handsets? 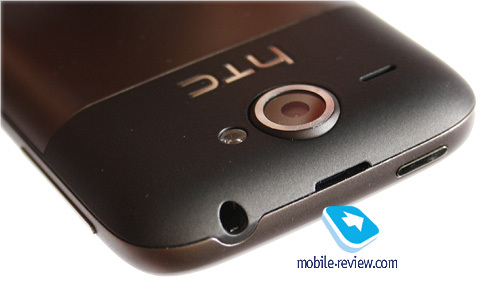 What is HTC Wildfire and should you choose it as your first "robot"?.. If you go to the website of HTC you will read that Wildfire as any other smartphone of the company is aimed at "communication and exchange of joys of life with friends". To some extent this is true as for any other modern phone. 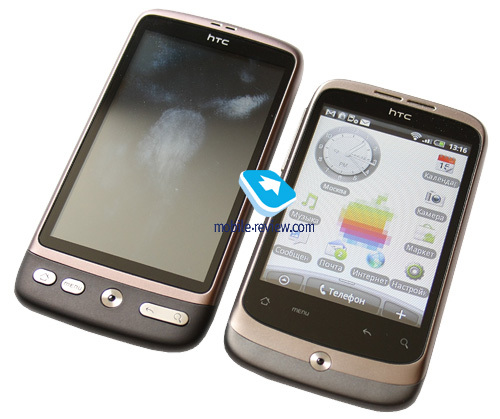 In reality HTC Wildfire is different from the rest of the company's lineup. Without beating around the bush we can say that Wildfire is a cheap HTC smartphone. PR departments ask not to use the word "cheap" and substitute it by "inexpensive", but in the case of HTC Wildfire we have a cheap smartphone. It is the most accessible solution among current Android models of the company (I know the price of uncertified HTC Hero and you can still buy Tattoo). 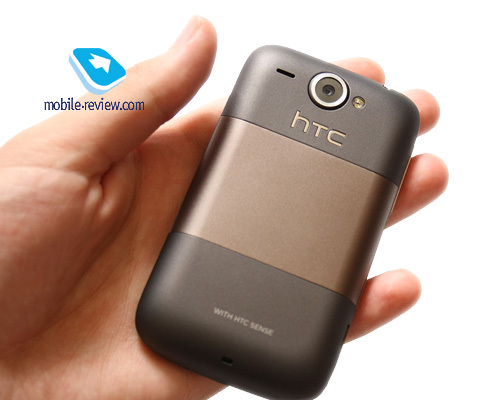 Exterior is the strong point of HTC Wildfire. 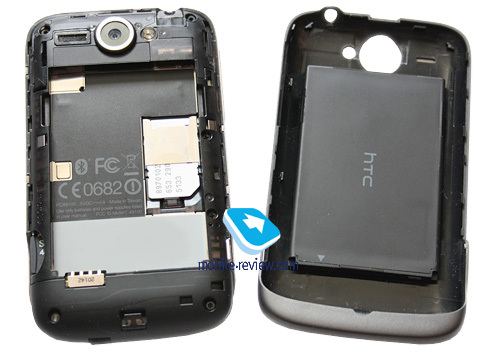 It does not only resemble the flagship HTC Desire, which is a no mean feat, but uses similar materials. It is pleasant to have the glass protected screen and high quality plastic and metal in this inexpensive model. 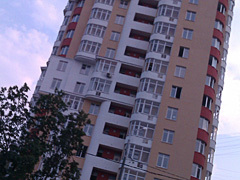 The major part of the front is taken by the screen. 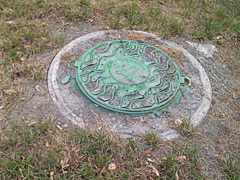 Its surface is protected by the glass (which is special plastic you cannot scratch by coins, keys, etc.). The edge around the screen reaching the sides of the body and the top of the smartphone are made of metal. 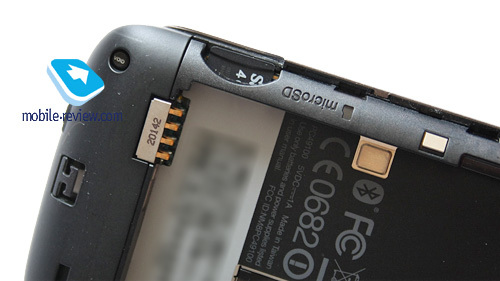 The battery cover is predominantly matte soft-touch plastic and the central part of the cover features a metal plate. 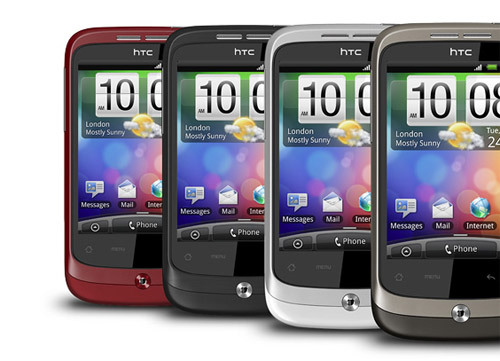 Several body colors are available for HTC Wildfire. Plastic and metal edge has different colors. They can be grey as in the reviewed sample or black, white and red. 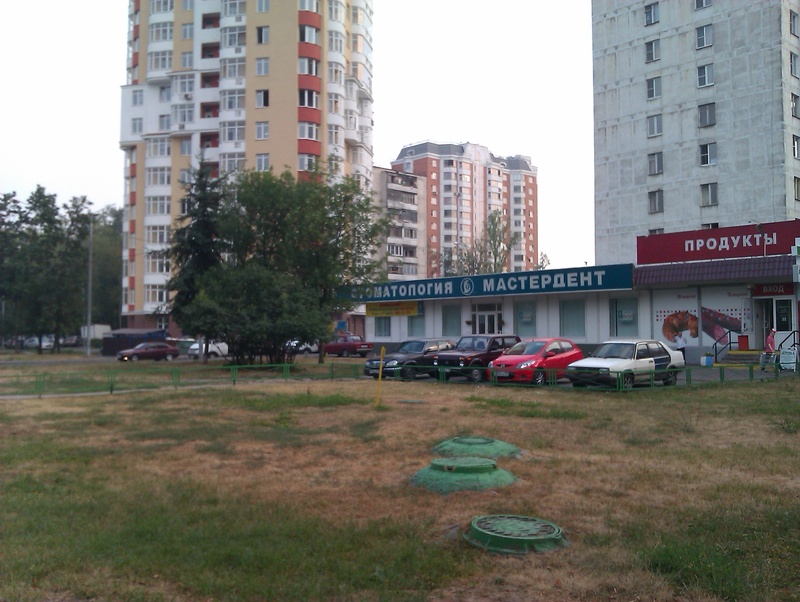 In Russia only the grey version is sold, which is the most boring from my point of view. Whether we get other Wildfire colors remains to be seen. Now I will add several words about the ability of the body to get soiled. The battery cover and sides stay clean so even if there are some fingerprints or traces there you will hardly notice anything. The screen surface gets dirty easier, but it is not critical. You can see any traces only if you look at the screen from a particular angle in an appropriate illumination. I do not have any complaints to the build as all parts fit each other well. During a one month use I did not encounter any looseness or squeaking in my sample. 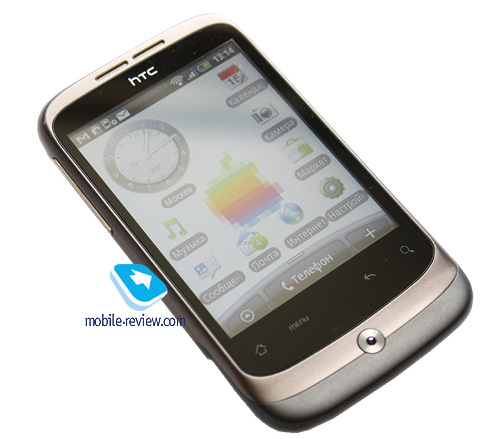 HTC Wildfire is similar to HTC Hero and Legend in this respect, though it is a bit more compact. The smartphone is convenient to carry in any pocket, bag, etc. It is also pleasant to hold during conversations. 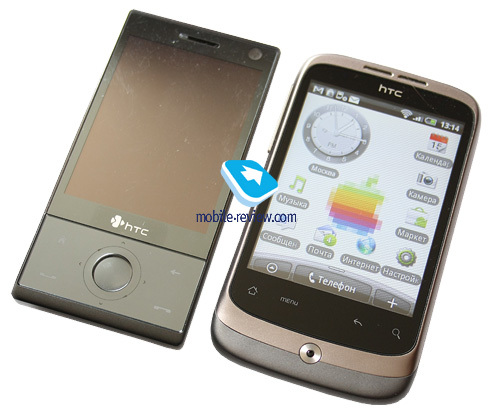 As in HTC Legend and Desire HTC Wildfire uses optic trackball or touchpad. To my mid the touchpad is convenient, but you have to get used to it longer than to an ordinary joystick, navigation key or trackball. This element is closer to sensor buttons with their artificial response to touches or presses than to hardware buttons. Anyway, it is much better than nothing at all as in LG Optimus, Samsung Galaxy S or HTC HD2, to name just a few. 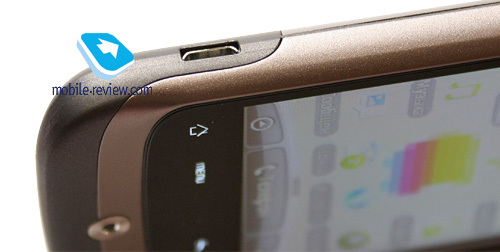 The touchpad in HTC Wildfire is combined with the hardware key (and functions as such). If you press the touchpad you confirm an action in the menu or move inside it. One press allows opening links, selecting and running apps and so on. So we have an ordinary pressing of a navigation key. The area to work with the touchpad is enough not to touch sensor buttons above. Buttons above the touchpad form a four strong sensor unit. All buttons are separate and can be easily pressed without any interference from neighboring ones. The end left button "Home" returns you to the central screen or activates a window with six running apps (press and hold). "Menu" button starts the context menu (press and hold to open or hide the screen keypad). Then go "Back" and "Search" buttons. As in other new models of the company Wildfire unfortunately has no hardware buttons to answer or end the call. Sensor buttons under the screen are highlighted by a white and soft backlight. Now let's mention other body elements. At the top of the front we have a grilled speaker. To the right and below come light and proximity sensors. Light sensor helps to adjust the screen backlight automatically and activate or switch off the keypad backlight. Proximity sensor disables the screen during conversations when you move the handset to your ear. If you move the phone away the screen starts again. To the left and below the speaker you see the light indicator. It gets orange during the charging or when connected to PC and flashes when the battery is low. When the charging ends the color changes to green. If you have new events: missed calls, unread messages or e-mails the indicator will flash green. The indicator can be customized in the menu where you can select the events it will show. The activity of wireless interfaces is not displayed. 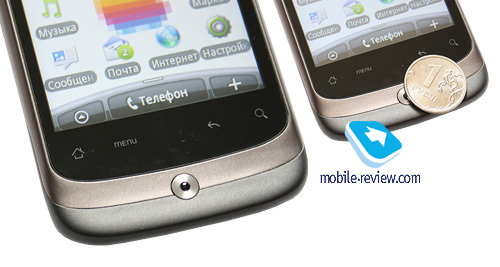 The left side of the smartphone has space for the volume control button made of plastic with chrome effect. The button is easy to use by touch when you speak. The music player volume can be set from the pocket without activating the screen. Here below we have a microUSB jack for a cable or charger. The right side is vacant, while the bottom features a microphone and a loop for a hand strap or wrist band. The top hosts a 3.5 jack for a headset of headphones and the button to switch the screen on and off. If you press and hold the button for several seconds you will open a popup menu where you can turn the power off, go to the silent or flight modes, activate the vibro and deactivate the data transfer, which is useful in roaming. There is no button to start the camera and it can be activated in the menu by clicking the appropriate icon. The touchpad is used for shooting and focusing. 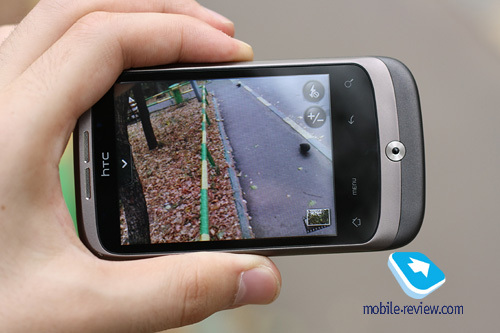 You can also use the screen or point the device at the object and after 1-2 seconds the autofocus will do the trick. microSD memory card slot is on the left side immediately under the battery cover, so you do not have to take the battery out to change the memory card. SIM card slot is under the battery. The most controversial part of HTC Wildfire is its screen. It features a 3.2" capacitive TFT touchscreen with the physical size of 65x48.5 mm (2.55″x1.90″) and QVGA (320x240) resolution. The screen is bright and has good viewing angles, though at times the colors can be affected if the angle is really acute. To be fair we have to acknowledge that viewing angles are not as good as in HTC Hero or Legend. In the sun the screen fades and it becomes increasingly difficult to read. We have already mentioned the protective glass resistant to scratches from keys and similar objects. The main question of HTC Wildfire potential buyers is: "How does Android run with nonstandard resolution?" The reason why people mistakenly believe in the "nonstandard resolution for Android" deserves a separate article, but we will not speak about it now. What apps will not work well on HTC Wildfire due to its screen resolution? These are 3D games, for example NFS, because I could easily play something less sophisticated, take RoboDefence for example. I heard that some applications may not work properly on Wildfire, but could not find any first hand evidence. On my sample of Wildfire everything worked great and on par with HTC Desire. 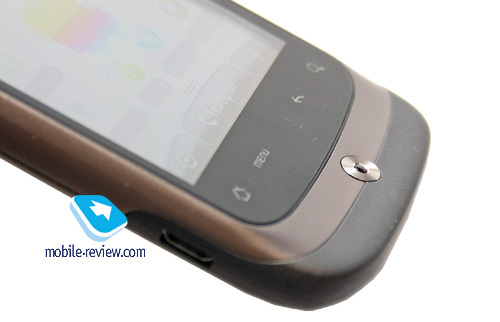 After we published out First Look on HTC Wildfire the forum witnessed heated discussions of the gadget: its price, features and especially the viewing of web pages on the screen with its resolution. I sided with those who said that you can surf the web quite successfully, though it is slightly less convenient in comparison with smartphones which have more impressive screen resolution. After I have been using Wildfire for a month I have to confess that I was wrong. All fans of WM remember the days when all communicators were equipped with 2.8″ or 3.2″ screens with QVGA (320x240) resolution. Three or even two and a half years ago such screens were standard and we considered such communicators as the best available options for Internet surfing. But then VGA resolution came along. If you have any experience with QVGA communicator or PDA then Internet on Wildfire will not surprise you. Everything works well. But if you missed the era of QVGA screens and moved from a keypad model to a VGA screen or a QVGA on a small screen (let's say, Nokia 6500 Classic) you will not enjoy web surfing on Wildfire. There are no technical problems with the browser or Internet connection. After high resolution screens or QVGA on small screens web pages on Wildfire look poor. With the standard scale used by the browser to open a page you will not be able to read anything, because the text will consist of dots, lines become lopsided and everything will get into a mess. You have to zoom in and the amount of information which fits the screen decreases. The main problem is the following. On any handset with HVGA, VGA or WVGA screen you can scale the text the way you like. You can zoom in a bit to keep the letters small or opt for considerable magnification. 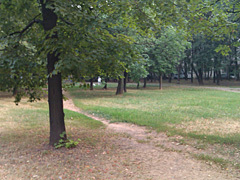 In HTC Wildfire you do not get this kind of freedom. To read the text you have to zoom it in a lot as you cannot exchange the small font for a bigger piece of info on the screen. The smartphone boasts a 5 MP camera with autofocus and flash. 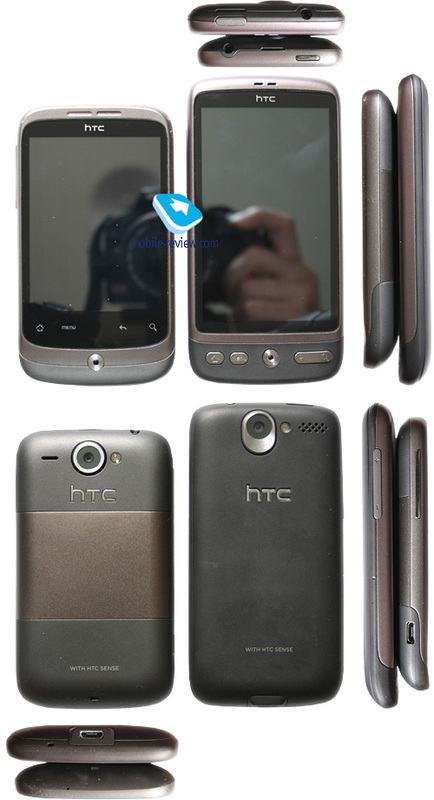 The camera used in HTC Wildfire is identical to HTC Desire. Our followers know that this comparison is hardly a compliment. Briefly, the camera in Wildfire is mediocre, but it is good enough for simple pictures if you do not have anything else at your disposal. The camera module slightly protrudes from the body and the camera hole is situated inside the ring. 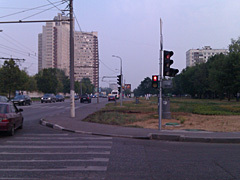 Camera interface is typical of any HTC smartphone. 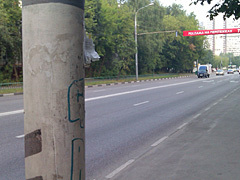 In the viewfinder mode the screen shows an icon of flash modes and scaling accompanied by a gallery icon. To activate the settings click the slider to the left or "Menu" button under the screen. The settings panel will appear in the left side of the screen and parameters can be selected in popup windows. Apart from the abovementioned settings you can change the degrees of contrast, saturation, color tones and acutance on a 5 grade scale. You can disable the shutter sound, choose grid display in the viewfinder mode, use timer assisted shooting and support picture taking with geotags courtesy of GPS (while viewing you will know the camera angle). 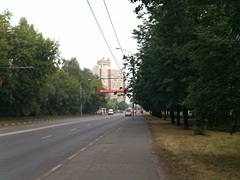 The quality of pictures can be assessed by the samples below, which I consider average. 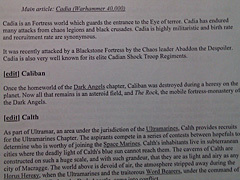 To take a picture of a page long text you need 5-10 attempts to get one precise shot (see sample below). Video can be recorded in MP4 or 3GP formats (mp4v or h.263 codecs) at the average speed of 20 frames per second. The sound recording is enabled by samr. codec. Video settings are similar to those in the photo mode. You can disable or enable the sound recording, limit the recording by its length or file size. Scaling for video is also supported. This feature is unavailable during the shooting itself and you have to suspend the recording to change the scale. You can judge about the video quality by the samples below. The smartphone has a 1300 mAh Li-Pol battery. The manufacturer claims up to 8 hours of talktime (GSM) and 480 hours (19 days) on standby. In real life (30-40 minutes of talktime a day, 10-15 text messages sent, activated Gmail and MS Exchange accounts with push-mail mode) my HTC Wildfire worked around 2 days from one charging, which is a good result compared with absurdly short operation time of HTC Desire and Legend. It is surely an entry level smartphone, which has to last longer than flagships, but the difference is really staggering. The smartphone is built on Qualcomm MSM 7225 platform with the frequency of 528 MHz. It has 384 MB of RAM with 100-120 MB free for user applications on a new system. I think that the performance is efficient enough in the majority of cases. No delays were experienced during the ordinary activities – checking mail, web surfing, starting apps and their operation. 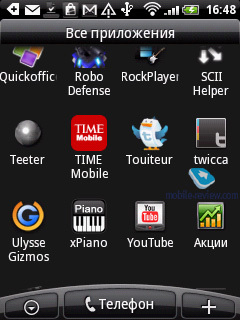 Complicated graphic apps do not run on Wildfire as smoothly as on HTC Desire or EVO 4G. 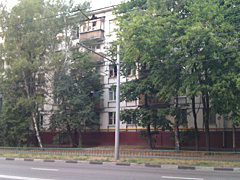 One of such applications is universal compass Ulysse Gizmos. To download music, images, video and other user data the current OS versions employ the memory card only, while the apps utilize just internal memory in the amount of 512 MB, where users can have around 100 MB to install software. There is no point in discussing the video playback on HTC Wildfire. Even short pieces look awful on a QVGA screen. 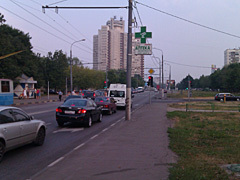 The overall performance speed was fine for me and during one month I did not find any serious issue, so Android 2.1 on a slightly outdated MSM7225 platform runs well on HTC Wildfire. The smartphone supports GSM (850/900/1800/1900) and UMTS (900/2100) networks, while EDGE and HSDPA are also available. Different communication modules can be switched on and off in the settings menu or with the help of widgets (standard or from HTC) to be dragged onto the desktop. A standard Android widget looks poor on a QVGA screen. I got rid of it in favor of two buttons (activation/deactivation of WiFi and Bluetooth), while on Desire I used a standard widget. Data transfer and synchronization with PC is carried out via USB 2.0. Copying of a 10 MB file to the memory card in the disc drive mode takes no more than 2-3 seconds. When the smartphone is connected with PC you can choose the connection via HTC Sync to charge, transfer data to the memory card (disk drive) or use the device as the modem (for Internet connection via 2G/3G channel). Hands-Free Profile (HFP). Connection of Bluetooth headsets and hands free devices. Headset Profile (HSP). Connection of Bluetooth headsets for easy commands– making or answering a call, volume control. File Transfer Profile (FTP). Viewing of other devices files systems and access to its own file system via Bluetooth. Object Push Profile (OPP). 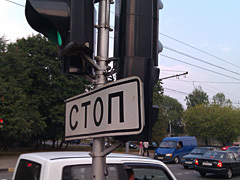 It is used to transfer objects, for example calendar entries or contacts. Operation of the smartphone with the stereo headset is traditional. The sound quality through the wireless stereo headset is decent. Wi-Fi (802.11b/g). I cannot complain about the operation of WiFi module either. In the smartphone you can customize the rules of WiFi moving into the sleeping mode, the exclusive use of the static IP address during the connection and add security certificates. WiFi barely warms up during its operation. 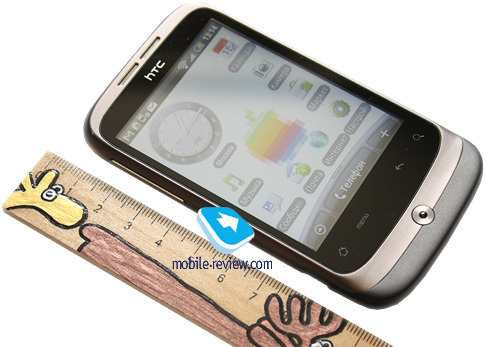 GPS is standard for all HTC smartphones as before they wholeheartedly adopted microUSB and 3.5 mm jacks. HTC Wildfire is not an exception. The model has gpsOne chip on Qualcomm platform. Google Maps serves as the simplest navigation software. It allows making routes (without voice prompts), searching for street names or places (restaurants, cafes, names of institutions, etc.). The advantage of Google Maps over heavyweight navigation apps is its availability from the web and theoretically you can use maps of all big cities in the world no matter where you are. 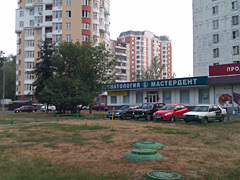 The first and foremost is Internet access, which is the main downside of Google Maps. It cannot operate offline. Frankly speaking I wanted to skip this point, but I will say the traditional words. To my mind (or ear) the sound in HTC Wildfire does not differ from HTC Desire or Legend. 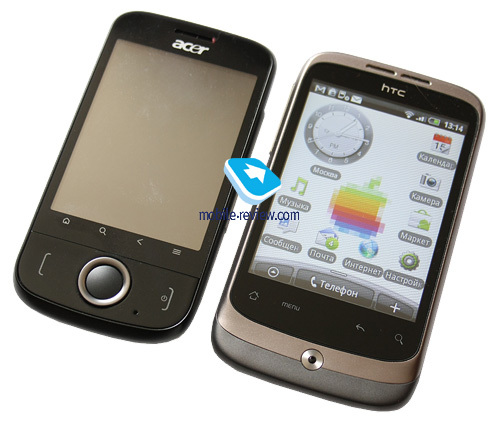 The smartphone runs on Android 2.1 with the latest edition of HTC Sense as an interface. 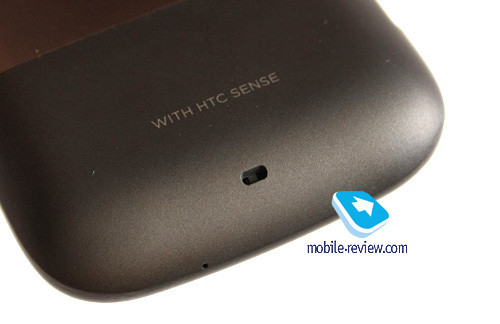 The same shell is used in HTC Desire: you can read a detailed review of Sense with all features typical of appropriate Android smartphones. Unlike Desire Wildfire does not support live wallpapers. Even if you download live wallpapers from Market you will not be able to install them as such, because this option for wallpapers on the model is not available. 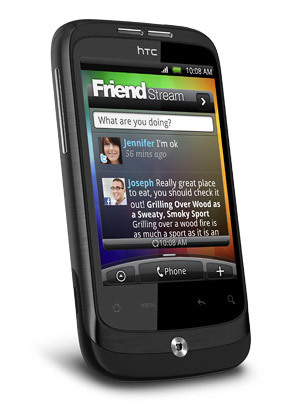 New feature in HTC Wildfire is an opportunity to exchange links to apps with your friends. Start the eponymous app (Apps Exchange), choose the app from the list and indicate the link transfer method: e-mail, SMS or Tweeter. The link will point to the app page in Market. 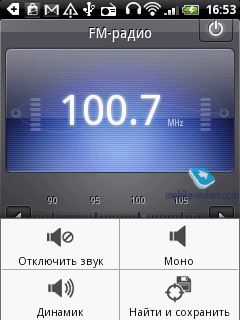 The smartphone boasts FM radio. 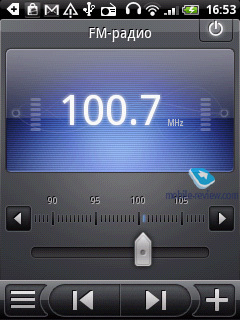 During the first launch of the app the frequencies are scanned automatically and the list of found radio stations is formed. New stations can be added manually and each can be assigned its name, which will be displayed when you choose it or in the general stations list. 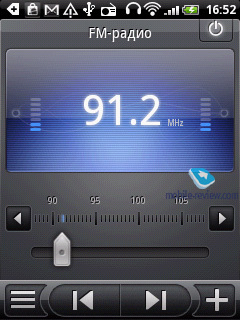 Information on the radio playback is indicated in the system bar. Radio works with or without headphones. The reception quality in my HTC Wildfire was good. It is one of the few models from HTC with good radio reception quality. The official price of HTC Wildfire is $422. 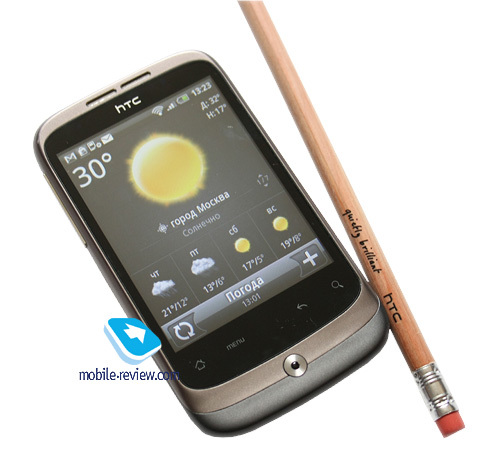 Traditionally for HTC an uncertified Wildfire can be had for $357. 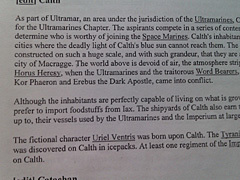 What are its rivals? I will rule out Sony Ericsson X10 mini. Those who saw the model and held it in hands understand my rationale. It belongs to another class and has other objectives, so do not be confused by the similarity of features between X10 mini and other "inexpensive" robots. So, we are left with two models from Korea - Samsung GT-i5700 Spica and LG Optimus (GT540). Samsung costs around $390 and will be gradually withdrawn from the market, but LG model has just arrived and costs $292 and even less than $260 in some shops. 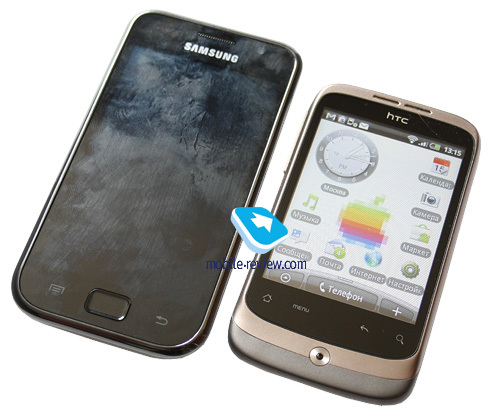 I will not compare all features, but if you like I can easily offer a verdict on HTC Wildfire vs Samsung Spica vs LG Optimus. Wildfire attracts with its design and quality materials and is also a convenient phone for calls, which supports MS Exchange from the box. Samsung Spica has the edge in terms of its higher resolution capacitive screen, while LG Optimus is considerably cheaper, though it offers similar features. 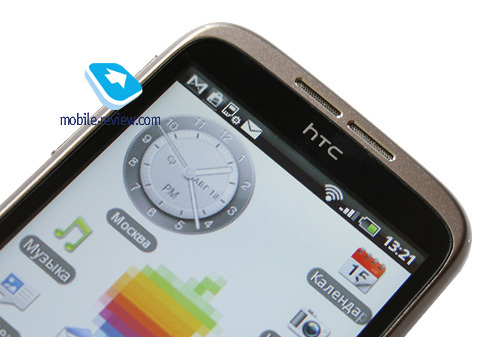 If you need a smartphone for everyday operation choose HTC Wildfire. Frequent Internet surfing requires Samsung Spica or LG Optimus. Afraid to be bored? Go for Spica provides broad possibilities for entertainment if you want to improve the model on your hands. I do not have any complaints to the signal reception quality. The loudspeaker is above average and in the majority of cases you will hear the ringtone. The speaker volume and vibro are average, though I occasionally missed the latter on the go. 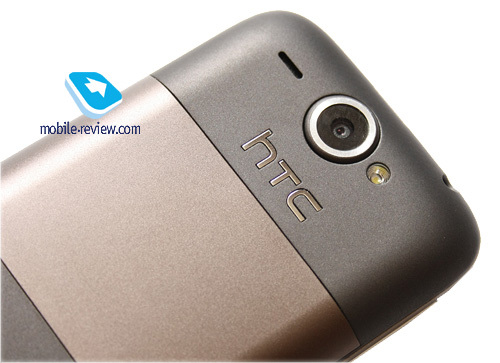 Priced at $422 HTC Wildfire is interesting, but equally controversial. Its doubtless advantages include good body, high quality materials, universal design to suit a business person and a student (you cannot say the same about plastic LG Optimus). Another high point is operation time. The only disadvantage is the screen and it serves as the main factor during the choice. If the screen looks normal to you and its low resolution is not an issue I can definitely advise Wildfire. Alternatively, if its screen makes you depressed and you cannot get images of WVGA out of your head, another model should be bought instead. I will add some personal impressions. I have been using HTC Wildfire as my main phone for a month after switching from HTC Desire. Owners of WVGA devices will understand me, because it is extremely difficult to downgrade after WVGA experience. Nevertheless, after several days of withdrawal syndromes I got accustomed to Wildfire and its screen. A habit of web pages scaling took more time to develop. Weight: 118 g (3.79 oz).